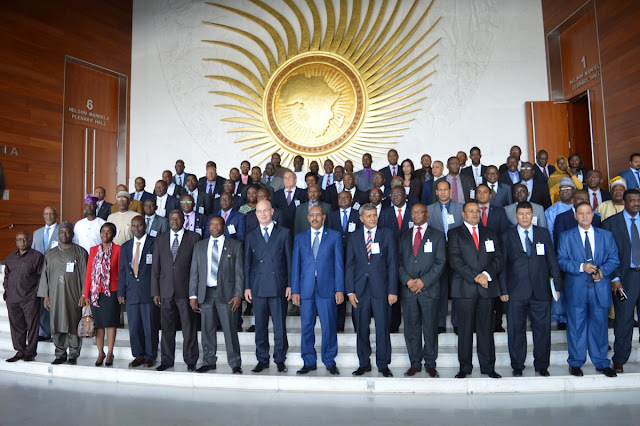 The African Union Commission on Human and Peoples’ Rights has backlashed Buhari’s led Federal Government on excessive use of force by the country’s security forces, resurgence of agitation and militancy in the Niger Delta among others. This was disclosed to newsmen in Abuja on November 30, 2016 by the Commissioner Rapporteur responsible for the Human Rights situation in Nigeria and Rights of Women in Africa, Lucy Asuagbor. Her delegation praised the Federal government for the political will and commitment towards the effective adoption and implementation of African Charter and other ratified regional and international human rights instruments in the country’s legislation. The delegation however noted that the commission is concerned about number of Human Rights abuses, which has persisted in some quota. The commission stated a detailed mission report with specific recommendations would be prepared after the working visit. I HOPE BUHARI WILL NOT GIVE HIM SOMETHING TO KEEP QUIET .